Scrap metal recycling is about more than just helping the environment; depending on the current scrap metal prices, it can be an important additional revenue stream for some companies with large amounts of scrap to get rid of. And of course, in the process, it also demonstrates an environmental commitment and an ethical approach to the disposal of waste materials, both of which are likely to resonate well with customers, suppliers and investors alike. But how much is scrap metal worth? Here are some of the main types of metal, the quantities you are likely to generate of them, and how much they are worth relative to one another. Ferrous metals contain iron (named from the Latin ‘ferrum’, chemical symbol Fe) and that also includes iron that has been turned into steel. They are magnetic and typically, waste ferrous metals are produced in relatively large quantities, often in large individual amounts as well as on an aggregated basis. You might be likely to see waste ferrous metals from property, including steel beams, from metal containers, and from vehicles like cars and ships. By weight, scrap metal prices are usually lower for ferrous than for non-ferrous metals; however, the larger quantities involved can help to redress the balance or even overcome it completely. This larger group of materials includes all non-magnetic metals, ranging from aluminium and copper to precious metals like silver and gold. Within this group there are some of the most directly recyclable metals – aluminium, for example, requires over 90% less energy to recycle than to produce fresh from ore.
Copper can be recycled without being cleaned first, as in many cases impure copper is actually preferable for manufacturing the recycled metal into new products. Non-ferrous metals also include the best conductors of heat and of electricity; copper is again a good example, as is gold. All of this helps to make non-ferrous metals worth more as scrap and for recycling; as noted above though, at any given time you will usually have more scrap iron than scrap gold. In addition to the price paid for scrap metal, there are also other real-terms cost benefits to recognise, such as the positive reputational impact among customers and investors. 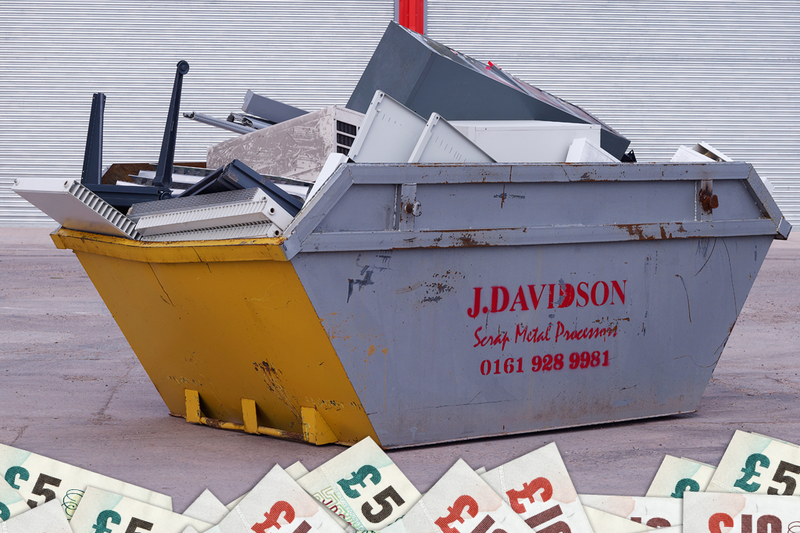 You can arrange to have scrap metal collected from your premises, meaning you do not have to pay for skip hire, or to have someone come and remove what is a potentially valuable commodity. There may also be compliance benefits, depending on the current legislation in your industry; and all of this together adds to the compelling financial case behind scrap metal recycling.